Your centerpieces can set the tone for your reception, one way to make a big statement is to use tall centerpieces. Tall centerpieces are elegant and luxurious. They provide a glamorous look to your venue. You can elevate the look with candles and metallic tones. Guests will be amazed at the gravity-defying florals, which create a romantic feel for the night. Another benefit of taller centerpieces is that they allow your guests to see each other across the table easier. It is always so frustrating to sit down at a table and realize you can’t see the person across from you, much less talk to them! 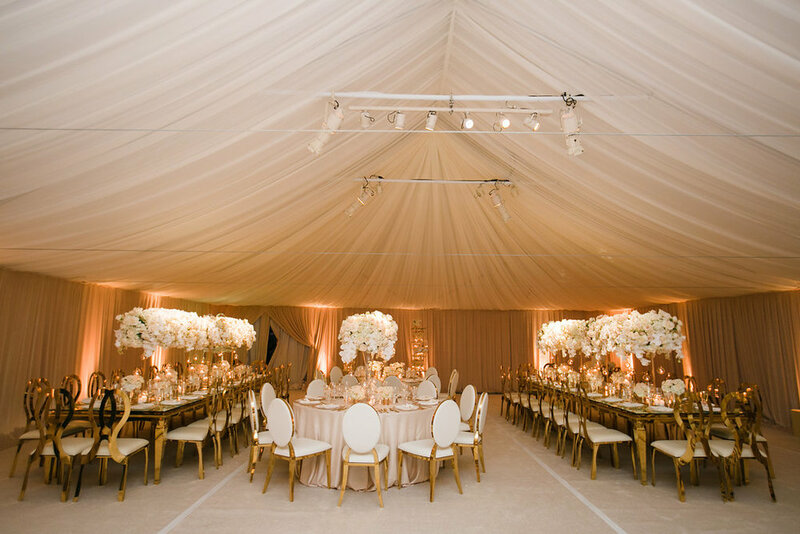 Having clear sight lines will let your guests feel included in every part of the night-and no one will miss your first dance because they can’t see over the flowers!